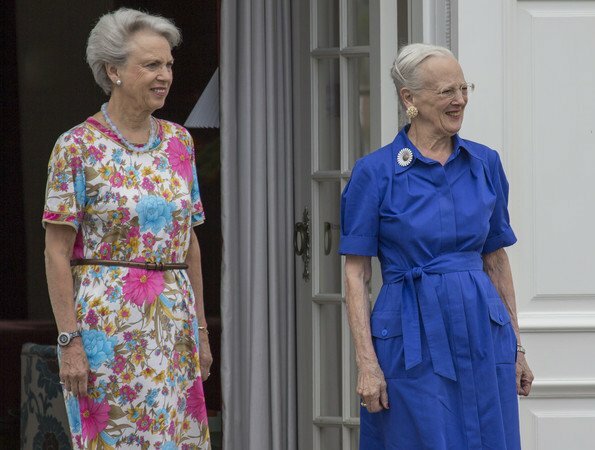 What a lovely dress on Princess Benedikte. Lovely floral pattern and perfect for summer time. 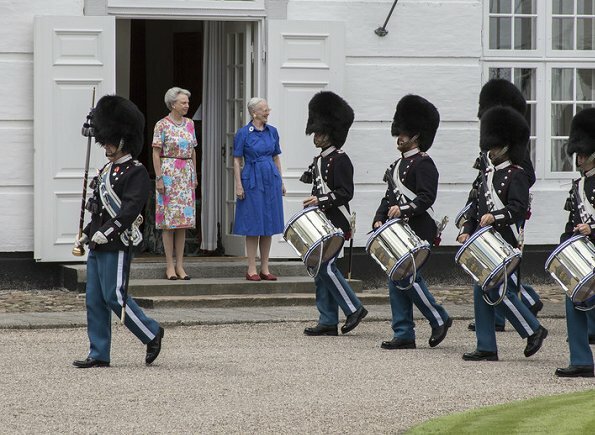 Her Majesty looks also very lovely in blue. Love that daisy brooch. 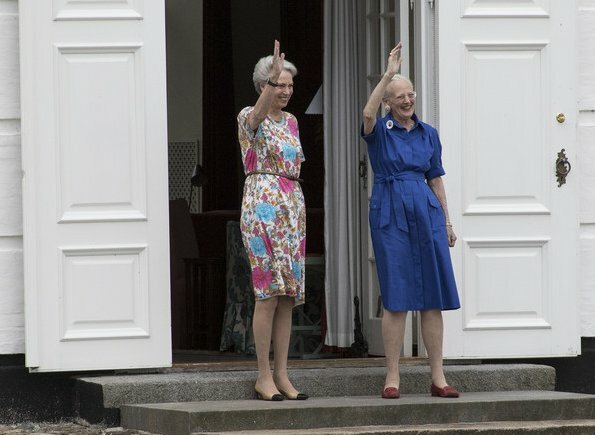 I like Princess Benedikte's floral dress - a cheerful, summer look. 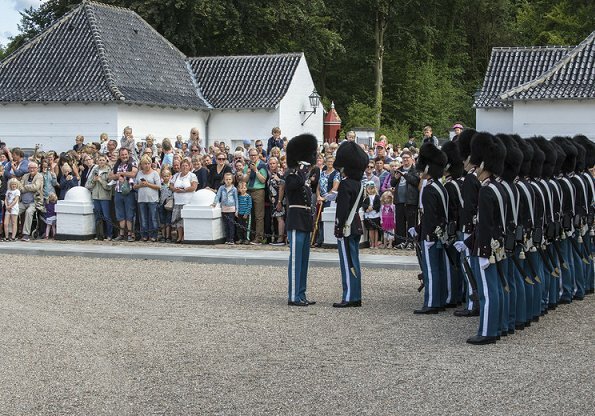 The Queen looks a bit more sober than her recent outing - a pretty sure of blue and the daisy brooch is fun. 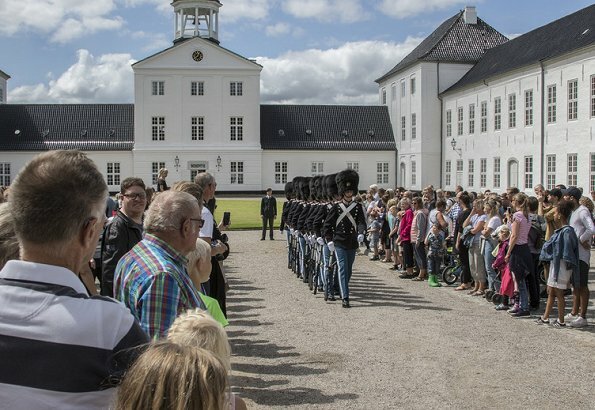 She's a queen of the people.